“Platía” is the name for a town square in Greece, the central place in villages all over the country where just about everything worth seeing or doing happens. 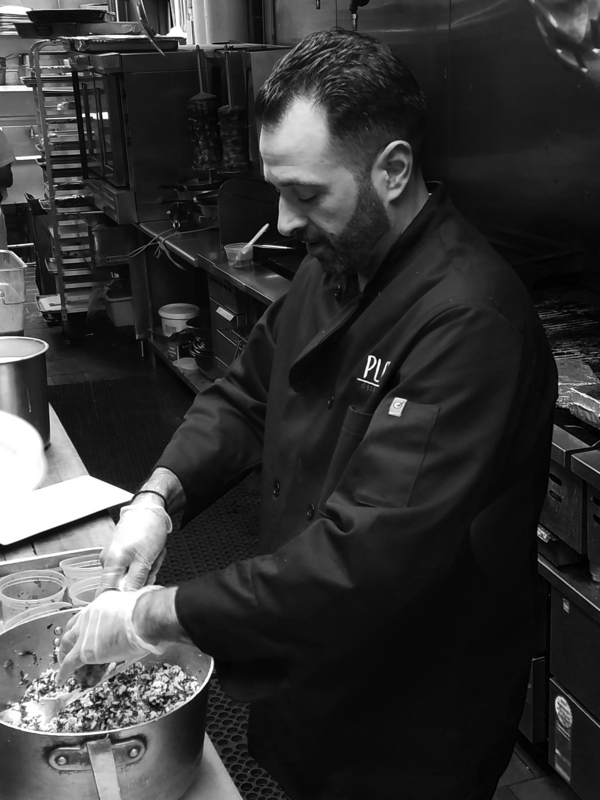 It’s that sense of community that Chef Gregory Spanos is recreating at Platía Greek Kitchen in Syosset, a spiffy mid-priced restaurant where traditional fare is served with modern flair. It’s where friends and family gather and laugh. Spanos, a graduate of the Culinary Institute of America and an experienced restaurateur, sometimes joins right in. But here’s the question: Where does Spanos eat Greek when he’s not diving into his own oxtapodi? I found out. 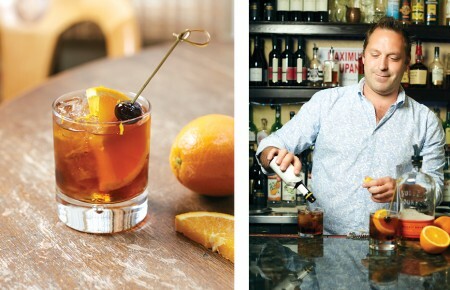 This upscale hideaway has brunch and “early dinner” menus, which makes for unusually focused offerings. The regular dinner menu is massive and includes a raw bar featuring organic salmon and tuna, as well as oysters and clams. The wine list is extensive by any oenophile’s standards, and the selection of tea (of all things) is equally impressive. Seafood, though, is the star here. 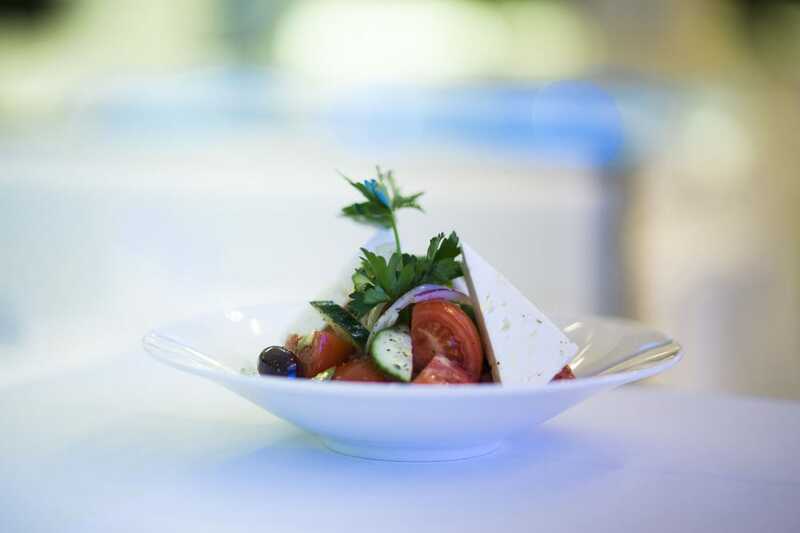 “Limani’s menu has interesting pockets where they deviate from typical Greek dishes, but circle back to Greek vision by using subtle Greek flavors and ingredients. It’s similar to a fine dining restaurant in Athens which explores with new ingredients and dishes but inherently makes it Greek by execution and staple ingredients,” said Spanos. The Fagri, a firm and meaty snapper, is imported direct from the motherland. Those who want to veer from their usual cocktail towards one true to the experience at hand may wish to take the Mediterranean Mule, with Figenza Fig Vodka and pomegranate juice, topped off with ginger beer, for a spin. Phone: 516-869-8989 | Address: 1043 Northern Blvd Click to taste. A few standouts keep patrons coming back. “People love our shrimp saganaki appetizer with fresh tomatoes, smothered in feta and kefalograviera,” said Alex. Another consistent hit is their vegetarian moussaka, and the most talked-about dessert is the house-made galaktoboureko, layers of crispy phyllo filled with creamy custard. “Neraki is nestled in the downtown shopping district of Huntington, which allows a great walk and browse of the shops after your meal,” added Spanos. 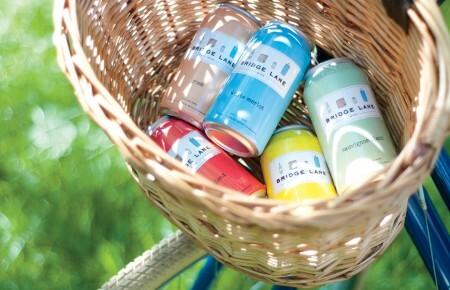 Phone: 631-385-3474 | Address: 273 Main St Click to taste. The focus here is on helping the community’s busy families eat well. 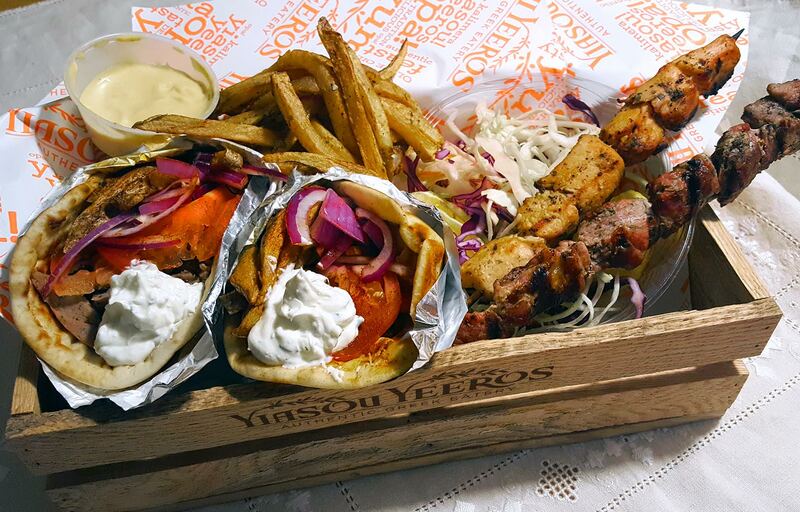 Case in point: a sampler platter that feeds four, aptly named “Little Village,” consisting of a beef and lamb yeero, a chicken yeero, pork and chicken souvlakis, loukaniko and hand-cut fries. Guests can purchase the house brand of organic olive oil and balsamic vinegar to take home. Phone: 516-490-3480 | Address: 1060 Old Country Rd Click to taste. Those who are known to say they could make their entire meal out of appetizers might want to check out the starter menu at this chic, airy haven. 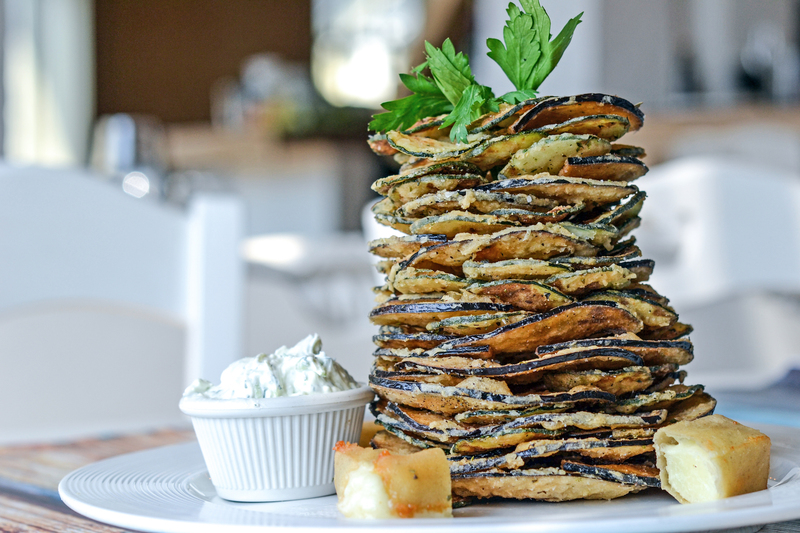 The array of distinctive offerings range from their signature towering Kyma Chips (zucchini and eggplant) to Patzaria, roasted beets in Skordalia (garlic) sauce with a drizzle of extra virgin olive oil. 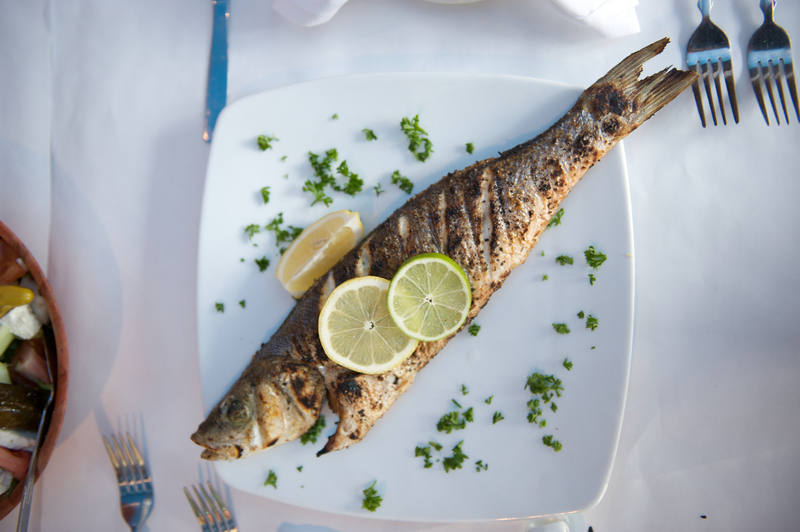 Meanwhile, lovers of Branzino will enjoy Kyma’s version, or one of the five other whole fish offerings. “This is the place for whole grilled fish that I don’t have to make! [The restaurant has] a similar concept to ours, [which is why] I like to visit and see things from the customer’s perspective,” shared Spanos. Lots of whitewashed wood and long tables invoke Santorini. Al fresco dining on the patio with a view of Roslyn village is an option in the summer. Phone: 516-621-3700 | Address: 1446 Old Northern Blvd Click to taste.